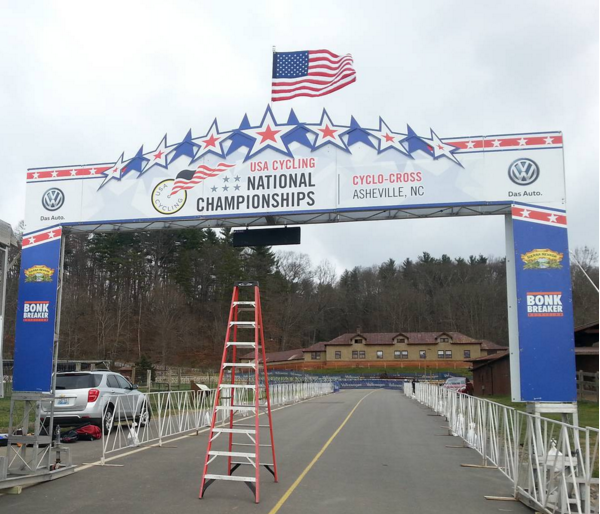 Today is the first day riders got a look at the Asheville U.S. Cyclocross Nationals course and the feedback so far has been nothing but positive. It’s a technical course with power sections, lots of elevation changes, killer climbs, technical descents and a huge challenge for every rider. Adam Myerson, who has raced more Nationals then he can remember called it the best nationals course if not the best U.S. course, ever. Wow. Can’t get any higher praise than that. So what does this best course in the U.S. look like? Thanks to Crosshairs Cycling’s Larry Miller, we have our first look at the course in this preview. Thanks, Larry! Hope to see many of you out there. Check out Crosshairs Radio episode 17 for our Asheville preview and picks. Preview course from last year appears more difficult. This course has less elevation change. You’d think for Nationals they’d put in some more technical bits. 1st half sort of mundane but 2nd half looks sick. Pretty technical, especially the off-cambers, roots, climbs, etc. 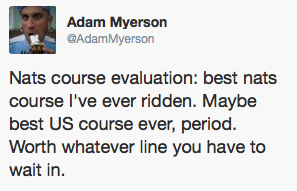 Course has clearly copied from Euro courses and we all know that the more Euro you are in cross the better. Can’t wait! Go J-pow! Owwwwwwwwww! !